A warm welcome to the Direct Seafoods website. We hope as you navigate your way around it you find many helpful tools. At Direct Seafoods we pride ourselves on having some of the best people in the industry, many of whom have spent their whole lives in the fish & seafood industry. I myself, have spent the last 30+ years working in the seafood industry, and a further 14 years in the catering industry. We like to feel we have an empathy with our customers. Many of our customers want to feel like they are dealing directly with the fisherman or fishing vessel, but need the security of important factors such as food safety, buying from a sustainable supplier and knowing all the back-office controls are there. For this reason, across our sites we have the same high standards and systems to ensure you can feel confident in who you buy from, whilst we are also aware of the need to operate locally and in the culture of the community each business serves, that’s why we keep the traditions and names of the local business intact. Our belief is we are only as good as the order we supply that day. 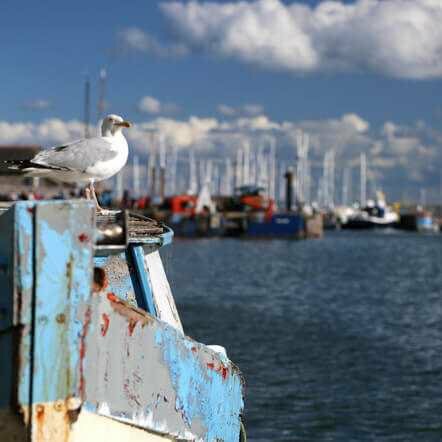 Provenance is massively important in our business, we source sustainable fish wherever possible, and have relationships with many coastal markets and local fishermen. You can discover more about this within the website. We have the pleasure in supplying many different types of establishments, including; Michelin Starred restaurants, Independent restaurants of many international cuisines, Gastro Pubs, high end branded Restaurants and Bars, Hotels, Colleges and Universities, Private Hospitals, Contract Caterers and Sports Stadiums along with a small number of high-end retailers. We are also proud to supply many of the blue ribbon sports & social events throughout the year at world famous UK venues. 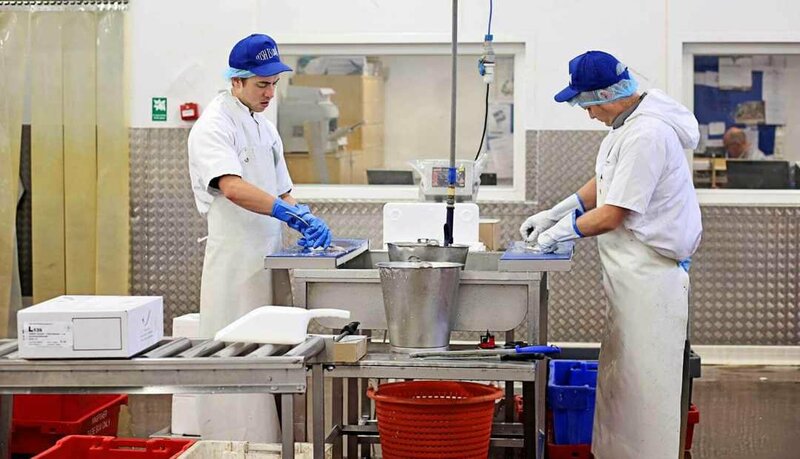 We pride ourselves as a supplier that we focus on a daily basis in trying to be the most sustainable seafood supplier in the UK, and work with bodies such as the MSC, MCS, ASC, BAP and other sustainable bodies who care as we do about the environment and sustainable fish stocks for future generations. Whilst we strive to maintain all the traditional values of customer service, we are pushing on with modern technology to assist our customers with how the world operates today, and have installed helpful additions, these include our online ordering system called Fresh Food Hub with its own app, which is now in full operation. The online ordering facility also gives you the ability to manage your account online, with benefits such as viewing past invoices and your order history. Why not set up an account download the app today. This is in addition to the ability to call our sales teams, where customers have their own dedicated account manager, along with our answer phone service which enables customers to call out of office hours and leave orders for delivery within hours of placing an order. We love working with the young chefs of tomorrow, and regularly hold training days at our sites where students can come and practice Knife skills as well as gain more understanding of the fish trade and how it operates. We are also proud to be sponsors of the Craft Guild of Chefs in the UK. We are also conscious, as always, about our effect on the environment. To help with this we have installed at all sites the Pod Father Electronic proof of delivery system, which not only cuts down on the use of paper and printers, but also allows customers to track their order as well as receiving email notification when the van leaves your local depot, along with driver details and estimated arrival time for that day. As a Company, we also believe in fair play and treating all our people with respect, as well as ensuring we work with our suppliers. To support this we are proud to be a member of the Ethical Trading Initiative (ETI) which promotes equality, workers’ rights, and fights exploitation and discrimination, all values we share. We strongly believe in fair play and in addition to this we work with suppliers to eradicate modern slavery. Please ask one of our sales team for a copy of our modern slavery policy document. Finally, I thank you again for visiting our website. If you are a current customer I thank you for your business, and if you are not yet, I do hope we can be of service to you very soon. Direct Seafoods supply fresh and frozen fish and seafood directly to professional kitchens; from Michelin-starred restaurants, hotels, pubs, colleges and universities, to sports stadiums and contract caterers throughout the UK. From each of our 11 locations, our fishmongers source, prepare and deliver using temperature controlled vehicles, six days a week. Each of our local fishmongers has its own unique identity, reflected by our various brand names across the country. They all have their own team of filleters, buyers, drivers and account managers. Our sites are BRC accredited, giving assurance that we operate to a high standard. The buyers source from local fishing vessels at local auction each day and jointly we source directly from international markets.